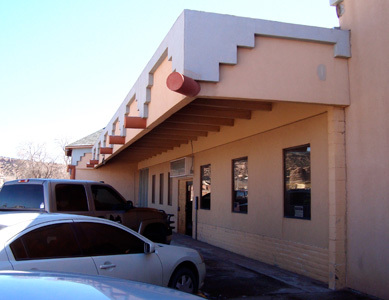 The Navajo Times is located in a strip mall of offices located at the southeast corner of the intersection of Arizona Highway 264 and Indian Route 12, Window Rock, Ariz. 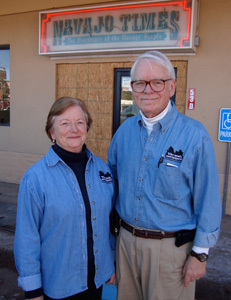 The Navajo Times, a weekly newspaper in Window Rock, Ariz., with a circulation of 24,900 and over 150,000 readers each week, is the largest paid-circulation Native American-owned newspaper in the U.S. 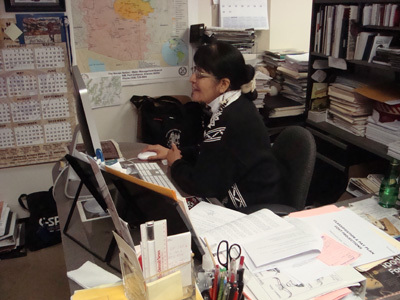 The Navajo Times is entwined with the culture and beliefs of the Navajo people. “It takes on a life of its own,” says Arviso. When the newspaper was founded in the 1950s, “ceremonies were held, prayers were said,” according to Arviso. “It is part of us,” says Arviso. As the “trusted voice for the Navajo people,” The Times is a watchdog of tribal government (Click on Enterprise Stories). 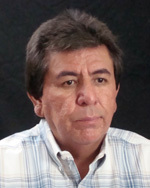 Arviso believes the newspaper also dispels Native American stereotypes among non-Native peoples. 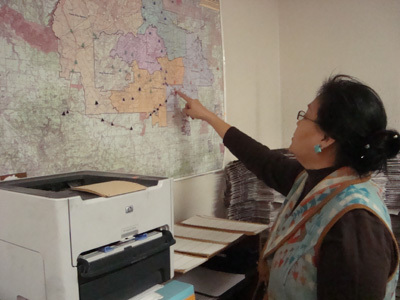 The Times has plans to create an e-edition, which would help deliver its reporting to Navajo schools and readers off the reservation. The Times also wants to improve its online presence, but is hampered because the technology has not been readily available on the reservation because of its rugged terrain and extreme climate. The newspaper has a long-term plan to obtain its own building (The Times rents space it is outgrowing) and to equip it with state of the art technology. (Click on the Backgrounder) The Times staff is also becoming more facile reporting across the Internet. “More of our young people are coming back [to the reservation] who are capable of doing digital,” says Arviso. Click on J-Epiphanies to learn when the power and purpose of journalism became clear to Arviso. 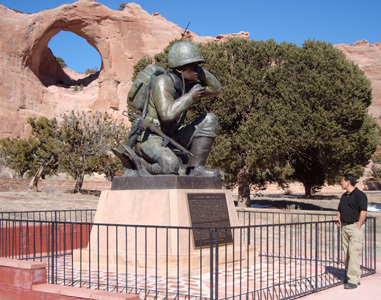 Arviso’s friend, the Navajo Nation President, Albert Hale, misused tribal funds, and Arviso had to make a tough call. Coming Next in the Western States series: The Las Vegas Sun, followed by the Pacific Coast series: La Opinion, The Garden Island, Willamette Week, and The Seattle Times.